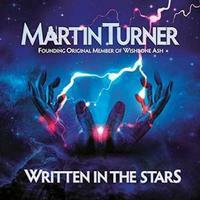 Martin Turner is best known for his work with Wishbone Ash. He’s no longer a member of that band, but he has produced quite a cool album here. I like this one a lot, really. It’s part space music, part psychedelia, part prog with some other things thrown in for good measure. I’d say that fans of Wishbone Ash should really like this, but anyone who likes great rock music with a classic base would be amongst the target audience, really. Space music with a rock edge makes up this introductory instrumental piece. It leads straight into the next song. Coming out of the last one, acoustic guitar and opens this. As the piece moves forward it gets more hard rocking sound infused. A bit of a surf music kind of vibe even joins. This is another cool space rock styled instrumental. There is a bit of 70s blues rock vibe to the title track. It’s got psychedelia and prog rock in the mix, too. I can make out some hints of classic metal, as well. The vocals work really well in a melodic way. This is another killer song on a disc that has quite a bit of great music. This is more of a mainstream rock song. Sure there is still some prog and space music in the mix. Overall, though, it’s the most AOR thing so far. A short acoustic guitar bit leads to a more rocking motif as it moves forward. It has a space meets psychedelic edge. It feels a lot like the Grateful Dead in some ways. As it builds out to the harder rocking movement, this thing really shines. This instrumental (there is a bit of spoken lyrics – the title) is quite a ride. 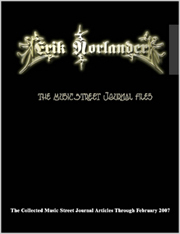 Parts of it are along the lines of psychedelic music. Other parts have a bit of a Spanish element. There are definitely classically tinged sections at play. This really feels like the kind of thing that would have been at home in the late 1960s or early 1970s. It’s sort of fusion meets psychedelia in a lot of ways. The first half of this song doesn’t do a lot for me, but the smoking hot instrumental section really shines. This rocker is pretty straightforward. It’s very much an AOR rocker. Another killer tune, I love the guitar sounds on this thing. The vocals are classic prog meets psychedelia. This is very much space rock based progressive rock, really. A pretty mainstream rocking song, this is good, but not up to the standard of the rest of the album. There are some great prog bits on this. It lands toward the mellower side of things. It has more of that Spanish element. It’s also quite space rock oriented in a lot of ways. It’s a killer tune, if a bit understated. It’s a great way to end things in style, really. It’s pretty trippy. I love the instrumental section mid-track. The guitar soloing really elevates that segment to the stars.